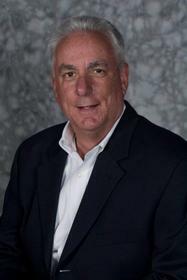 RAMSEY, NJ--(Marketwired - Mar 25, 2014) - Decusoft, a leading developer of specialized enterprise software solutions, has named longtime union and labor relations executive, Ralph Feminella, as the company's new Vice President of Sales of its EasyAdmin product line. Feminella joins Decusoft after serving for nearly two decades as a National Director in the employee and labor relations sector at Fortune 500 pharmaceutical giant, Pfizer. Cloud-based EasyAdmin simplifies complex Union and Taft-Hartley Benefit Fund management and allows users to easily handle and enforce the multitude of regulations and guidelines they face daily. Developed from the ground up, EasyAdmin was built upon a history of more than 20 years of union and benefit fund software experience. Designed to help unions of all sizes, EasyAdmin minimizes risk, ensures accuracy, diminishes reliance on expensive outside resources and provides data security. "Today's labor market is more competitive and complex than ever before," said Feminella. "I have seen the changes and know what customers are looking for and what they need to succeed. Decusoft is a category innovator, providing real solutions and real results. I'm excited to join the team." "At Decusoft, we serve the needs of our clients' people so we know that our greatest assets are our people as well," said Jim Kelly, Managing Director of EasyAdmin. "We pride ourselves on bringing real world knowledge to the development, implementation and sales of EasyAdmin. As a welcome addition to our team, Ralph has the insight needed to help Decusoft's clients achieve efficiencies and compliance while staying on the cutting edge of technology." EasyAdmin is one of Decusoft's three main lines of business. The company's other software solution, COMPOSE, automates and streamlines complex Merit, Bonus, and Long-term Incentive compensation processes. Decusoft also offers professional services to help companies optimize IT staffing and reduce costs by providing strategic resources on a project or emergency basis. Delivering function-rich compensation and benefits administration solutions as well as professional services since 2002, Decusoft has an exceptional track record of exceeding client expectations. By partnering with Decusoft, companies automate and streamline complex business functions using web-based solutions while receiving the advantages of working with many of the world's leading category experts. More information is available at www.decusoft.com.